Dubai Land Department (DLD) is undertaking a study on how to develop the emirate’s affordable housing sector and is expected to make policy recommendations this year. In an interview, DLD director-general Sultan Butti Bin Mejren told Arabian Business that the government is keen to grow what is at present a nascent real estate sector in Dubai. Bin Mejren revealed that DLD is working with the Department of Economic Department (DED) and Dubai Municipality on the plans. Officials have been examining ways to stimulate the sector, including how to incentivise developers and broaden access to financing for buyers. In the UK and many other developed markets, ‘affordable’ housing is defined as a residential property that costs up to around 80 percent of the market average and is typically subsidised by the state. The cross-departmental study is intended to produce Dubai’s own definition of ‘affordable’ and make policy recommendations for encouraging growth of the sector. The departments will not necessarily seek to set new laws regulating the sector at this stage. Bin Mejren said: “There are plans to consider affordable housing and [define what “affordable” means]. The DLD’s executive council is studying this, with DED and Dubai Municipality. “A committee has been working out a benchmark for affordable housing [costs] and there are some ideas for how to stimulate development of this sector. Bin Mejren insisted that, in general, the price of Dubai property is in line with other international cities such as London, New York and Hong Kong. “Dubai is a free market and no one sells properties at [exorbitantly] high prices,” he said. But developers have recognised a growing demand for lower cost, ‘affordable’ housing in recent months. Dubai Properties Group (DPG) claimed in February that its 8.2 million square foot ‘Serena’ project in Dubailand had sold out “within hours” on its launch day. DPG said “intense demand” from buyers resulted in clients and investors “queueing from the early hours of Saturday morning”. The first phase of its scheme is called Bella Casa and is expected to be completed by the third quarter of 2019. However, real estate consultants have warned that residential schemes being marketed as “affordable” in Dubai are still too expensive for low- and middle-income earners. A report by Core Savills in March claimed the term is being used “in a very loose sense” in the emirate, despite steps being taken by the government to increase supply of this type of housing. It said that finance options for lower income earners are limited, as banks typically require at an income threshold of AED15,000 to AED20,000 per month for granting mortgages. 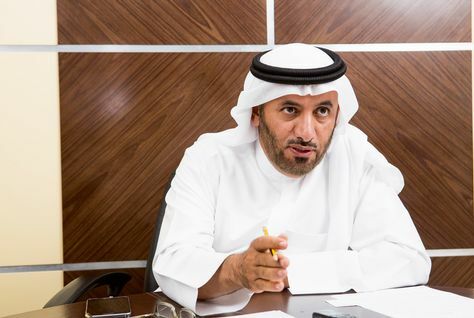 DPG CEO Abdullatif AlMulla told local media in May that this was not the case – that many banks are still offering mortgages to investors interested in affordable housing despite the current uncertain economic conditions.